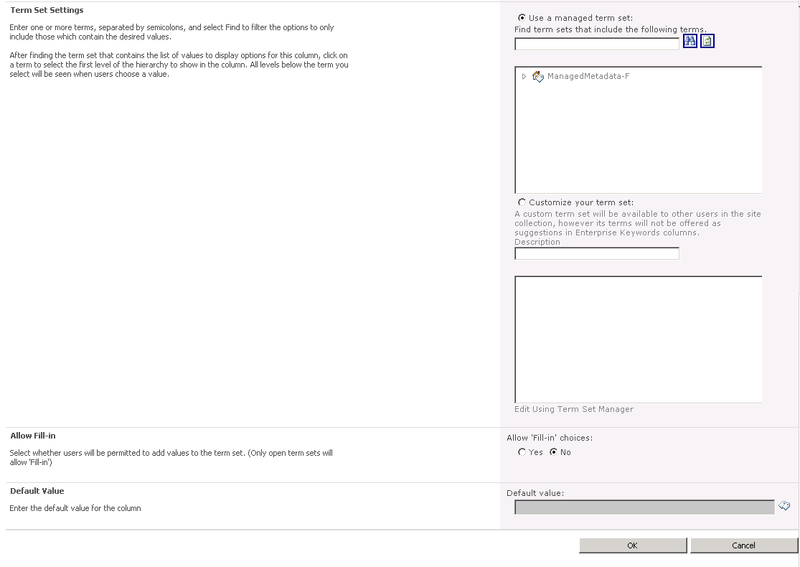 This is a continuation from Creating Managed Metadata Group, Term Set and Terms. 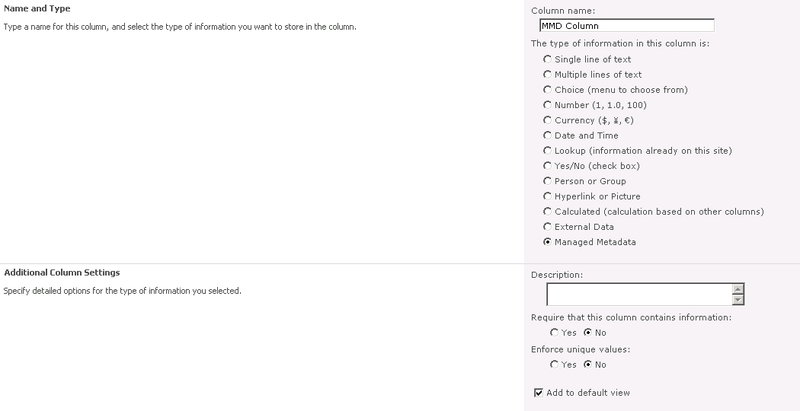 In this post I will be using the Term Set created in the previous post in a Sharepoint List. 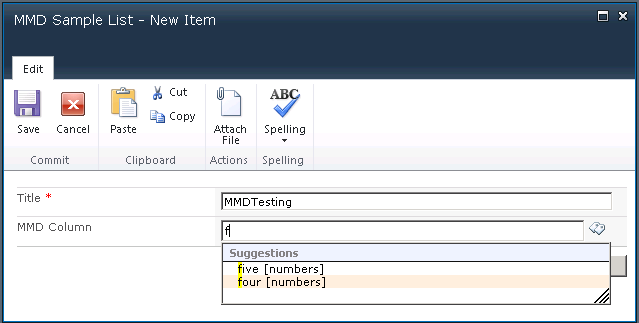 3) I am giving the Column Name as MMD Column and the type of the column as Managed Metadata. 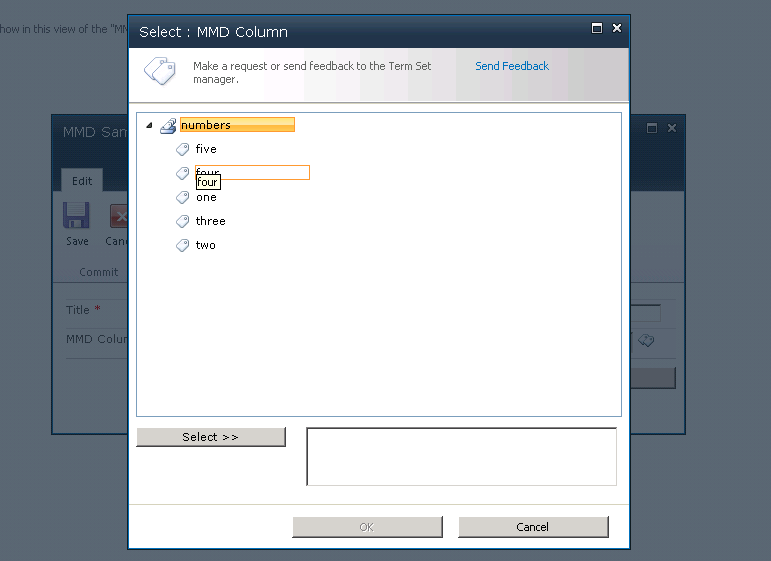 4) In the Term Set Settings, select numbers (Term Set) from the MMDGroup1 (Group) by clicking on ManagedMetadata-F (Managed Metadata Service Application). 6) Enter the details. You would see that you are given suggestions for the MMD Column. 7) Alternatively, try clicking on the tag symbol for that column.